Doily Lace Turquoise Wedding Invitation has beautiful turquoise blue simulated lace, a great calligraphy font, and rustic elements. 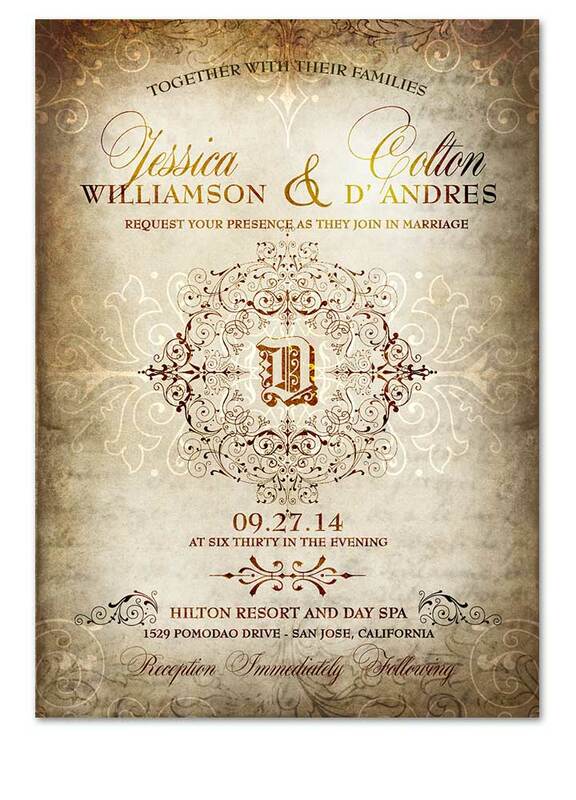 Elegant with a hint of the Old World, this stationery is a must for your elegant wedding. Showcase your favorite photo among the twinkling lights and create a memory your guests can cherish for years to come. 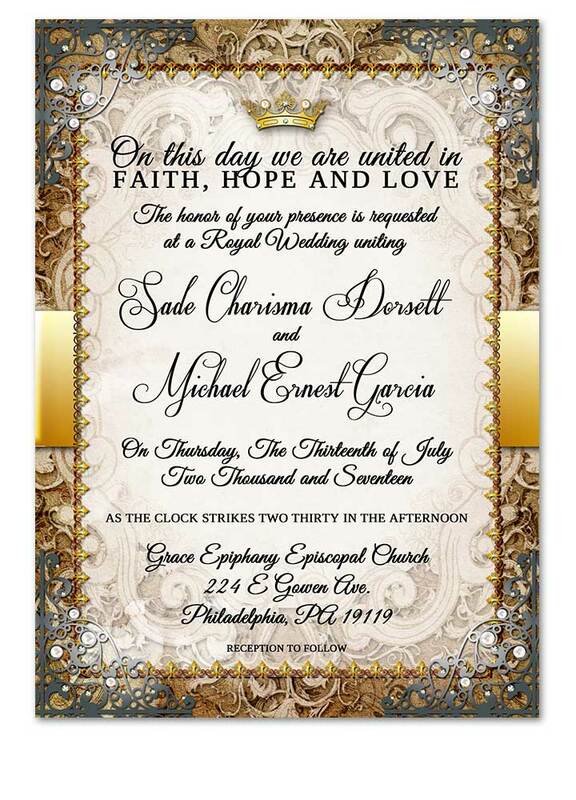 Experience the romance of vintage charm with our Elegant Old World Wedding Invitation. Features a simulated aged parchment look with darker burnt edges with a lighter center. Enchanted Forest Fairytale Wedding Invitations that are oh so romantic, whimsical and enchanting! Le the fairy lights of the forest draw your guest near and anticipate your fairytale themed wedding! Complete romance awaits! 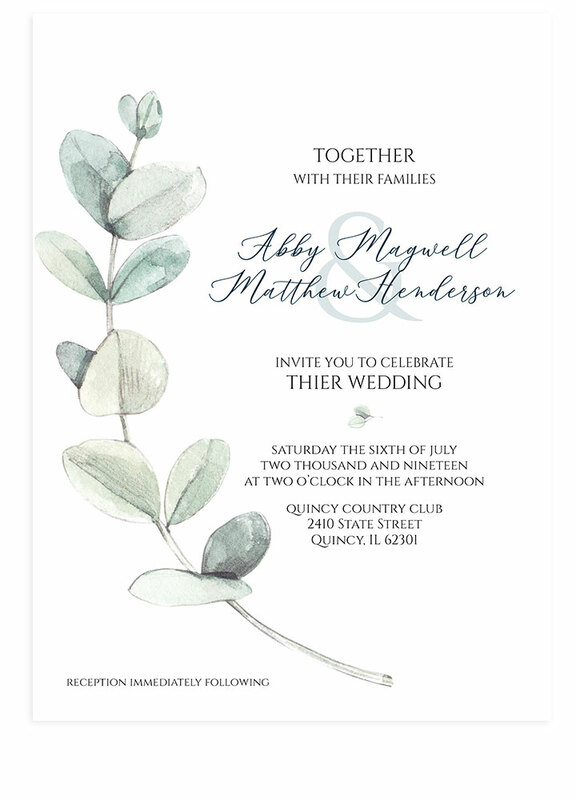 Eucalyptus Watercolor Wedding Invite Invite is stunning with it’s greenery placed exactly where it needs to be around your details. Your guests will be in awe of its watercolor beauty and design. Modern and Classic. Fairy Light Cherry Blossom Tree Wedding Invitation. Featuring an old tree with string lights and the word LOVE overtop. 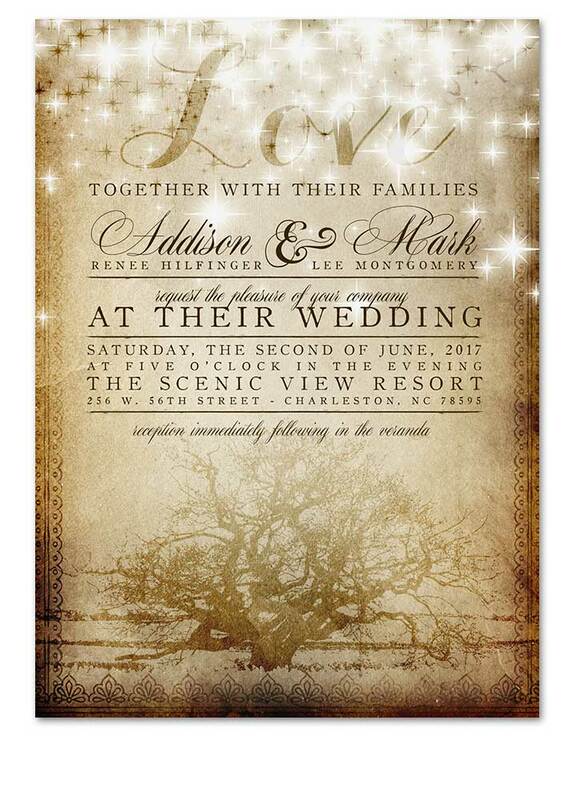 Perfect for couples looking for an enchanted outdoor, vintage, rustic, country, tree, garden or backyard themed wedding invitations. 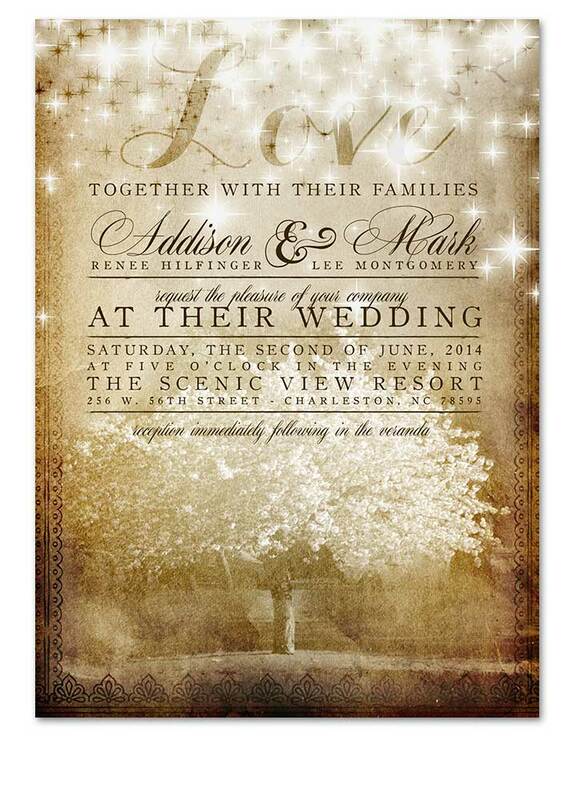 Fairy Light Vintage Tree Wedding Invitation. Featuring an old tree with string lights and the word LOVE overtop. 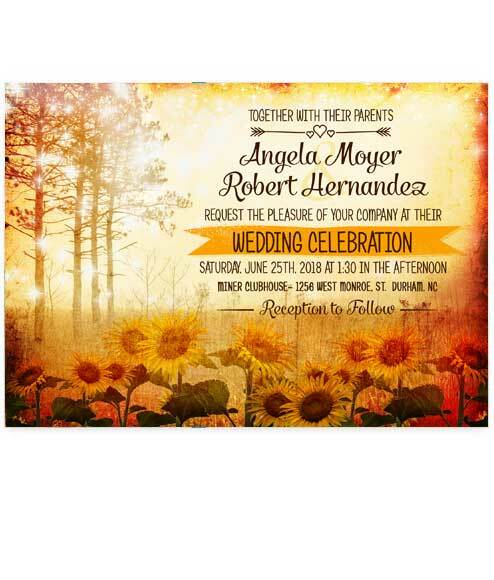 Perfect for couples looking for an enchanted outdoor, vintage, rustic, country, tree, garden or backyard themed wedding invitations. 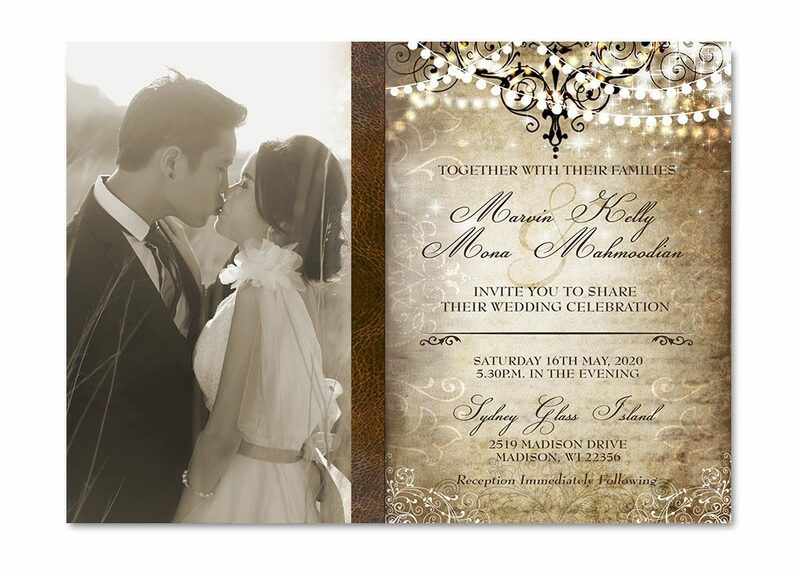 Fairytale Royal Wedding Invitation Gold will create the elegance and style you are wanting for your special day! 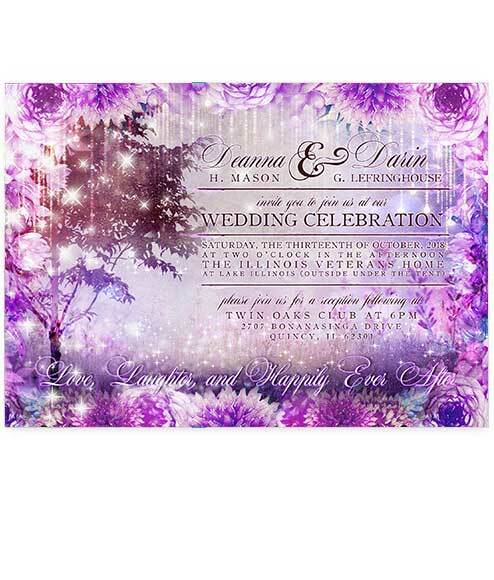 Tons of detail and embellishments will have guests raving about this invite! 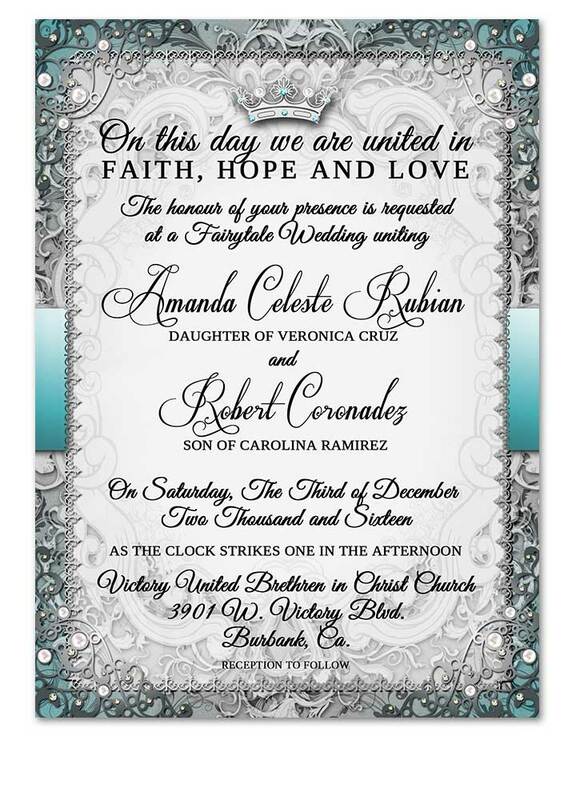 Create the storybook romance you have always wanted with our Fairytale Royal Wedding Invitation Silver. Make your day truly special. 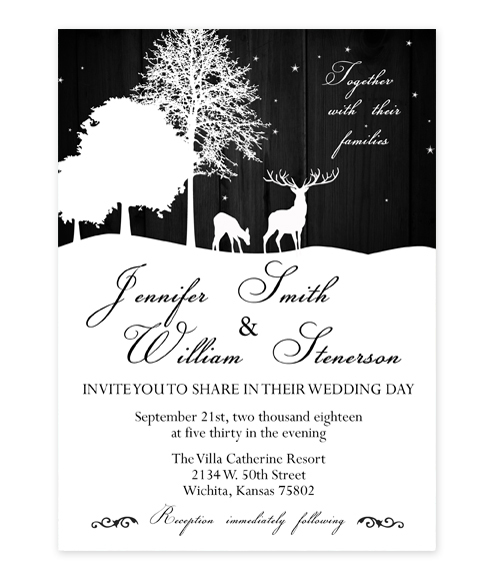 Tons of detail and embellishments will have guests raving about this invite! 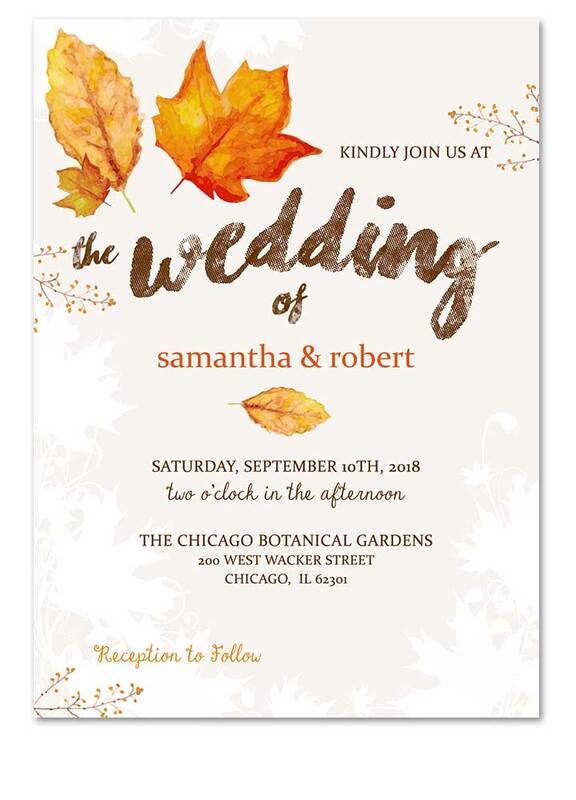 Fall Leaves Watercolor Wedding Invitation is perfect for those fall weddings where you want some unique color brought into them. The weather is crisp, and the leaves are turning scarlet and gold. You and your guests will celebrate your wedding day by eating, toasting and dancing under a string of lights in the magical fall air. 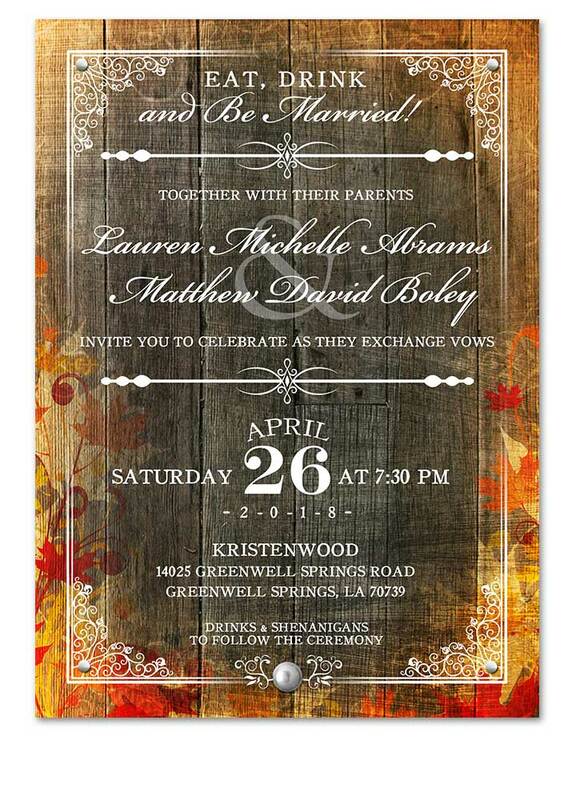 This autumn wedding invitation features all our favorite elements of a farm, country, backyard or barn wedding. 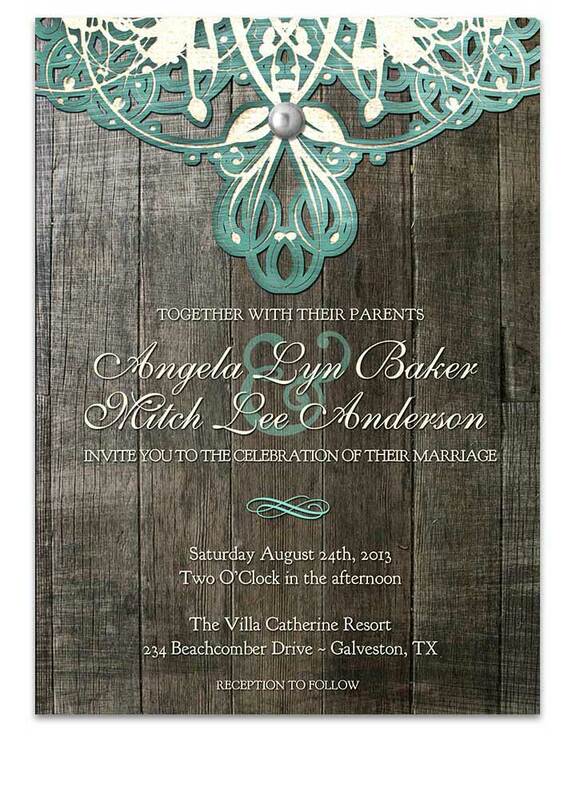 The perfect invitation for a casual and rustic affair. 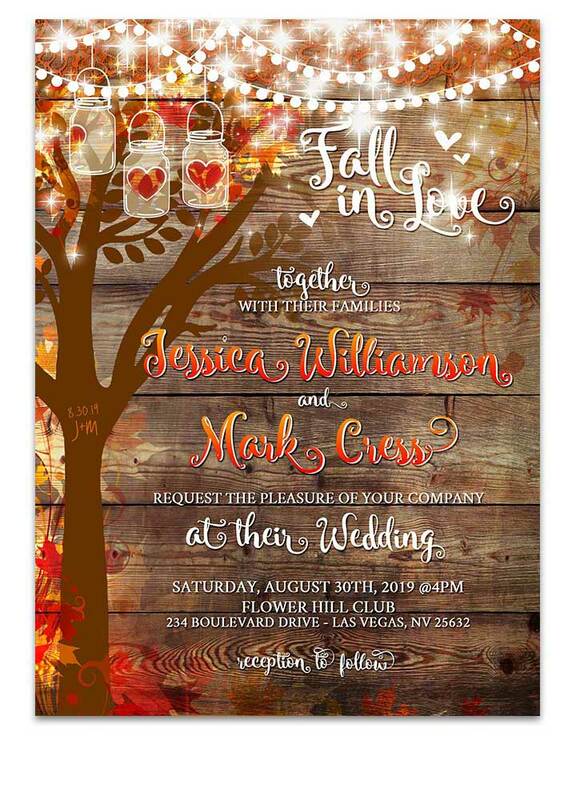 Fancy Fall Leaves Wedding Invitation. Truly a classic in our books. 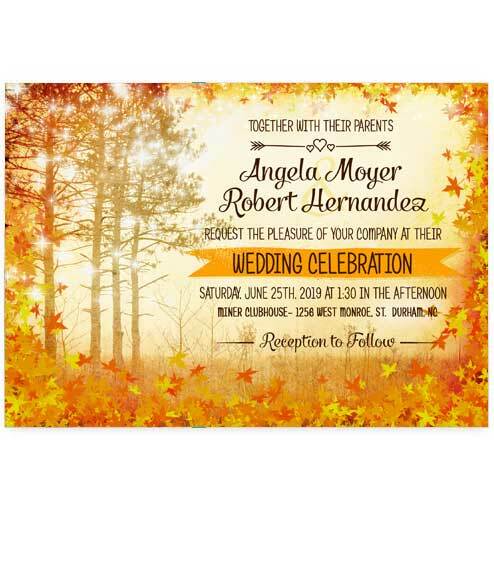 Choose our fancy fall leaves wedding invitation for your outdoor fall wedding and set the tone from the start.